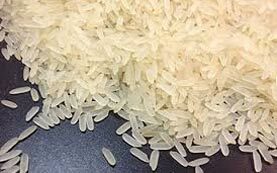 PR 11 Parboiled Long Grain Rice is non-basmati rice that has long grain size. We are one of the prime Manufacturers, Exporters and Suppliers of PR 11 Parboiled Long Grain Rice from Kurukshetra, Haryana. Our PR 11 Parboiled Long Grain Rice is highly demanded due to its freshness, great taste and high nutritional value. © Copyright 2009 - 2010. Ashoka Rice Mills Pvt. Ltd.